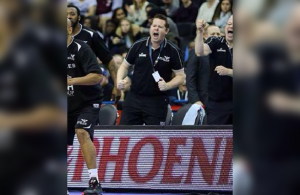 In the second of our Coaches Corner series, we talk with Queen Ethelburga’s College’s Head Coach Josh Metcalf. 1) How did you first get into coaching? Did you play previous to coaching? If so for who and at what level? JM: This is only my second year coaching. I first got into it working basketball camps for one of my former coaches and when I got the opportunity for it to be my job I jumped at it, because who wouldn’t want to do what they enjoy for a living? I played previously and I am currently still managing to play with the Doncaster Danum Eagles in Division 3 which is perfect because I wasn’t sure if I was going to be able to fit playing in with work. Before returning back to Doncaster where I also played juniors growing up, I played on the last Leeds Carnegie team in Division 1, before the team changed to Leeds Force and they moved up to the BBL. I was also lucky enough to spend a year playing high school basketball in Tampa, Florida for the 2009/2010 season, which remains one of the best experiences of my life. 2) How was your transition into coaching? What were the biggest difficulties at first? JM: The transition into coaching hasn’t been too difficult to be honest so far. I always had to make up for a lack of natural athleticism with a good understanding of how the game should be played, and the players I have been lucky enough to coach so far have been incredible to work with which has made the transition as easy as it could have been. My biggest difficulties so far have been understanding the difference in coaching different age groups and abilities. Once I’ve wrapped my head around what works best at each age for player development and team success we will be in good shape. 3) What is your biggest career coaching achievement to date? JM: Admittedly so far there’s not a ton yet. 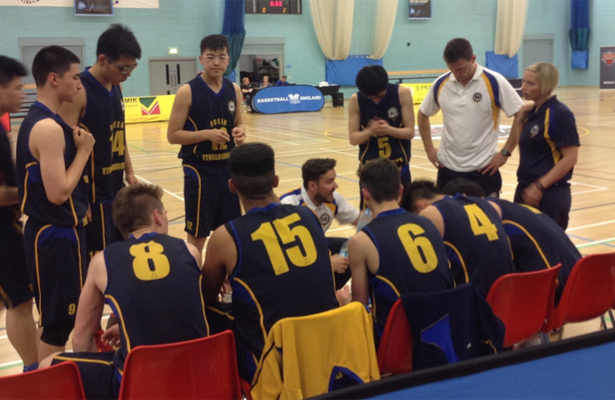 We got to the Under 19s English schools finals last year which was a great achievement for us, and also were really competitive against some of the EABL academies managing to beat Leeds Force, and falling short but really competing with Loretto on their home court. At this point, with the programme really only in its second year, if we can come out and compete against some of the great and established Academies in the country then we are definitely on the right track. 4) What is the best part of your job? JM: Just the fact that it is my/our job. I look forward to work every morning because I’m doing something I enjoy so much, which I’m almost positive is not something most people have the luxury of doing. 5) What is the worst part of your job? JM: Right now that is a question I would struggle to answer. I’m very fortunate at Queen Ethelburga’s Collegiate Foundation and there’s not an aspect of my job currently that I don’t enjoy. 6) Who have been the biggest influences on your coaching career and why/what did they teach you? JM: I’ve been really fortunate in my playing time because I have had so many great coaches. 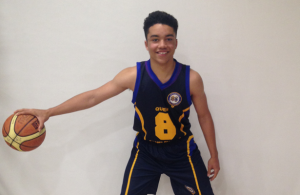 I learnt so much about hard work and player motivation from Bob Martin in Doncaster who has more enthusiasm and dedication towards developing junior basketball than anybody I have ever seen. I learnt how much a coach can do for a player on and off court from my High School coach in Tampa Scott Thompson, and I learned more about basketball from Samit Nuruzade than I will ever really be able to fully comprehend. Samit completely changed how I see basketball and how it should be played, and I just tried to learn as much as I could from him in the time I was lucky enough to play for him. 7) What is your coaching philosophy? JM: That it’s about the players and their development. 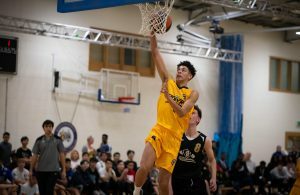 Realistically speaking, even though junior basketball in England is developing, this isn’t the last stop on these kids’ desired destination. And rightly so, players should be aiming for as high as they possibly can. So for us at Queen Ethelburga’s Collegiate, the most important thing is getting them as prepared as we can for whatever that next step after us is. If we can develop good players then the wins and losses take care of themselves but that will never be the main focus of our coaching. We want the best for our players and we want them to achieve what they are setting out to achieve long term. 8) What advice would you have to young aspiring players? JM: Make sure you enjoy all the hard work and training. There will come a time where for whatever reason you can’t play anymore. It’s inevitable. So no matter how far you’ve gone or points you’ve scored etc. make sure you’re playing basketball as hard as you can but with a smile because you will miss it..